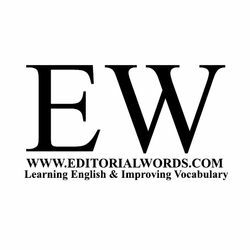 EDITORIAL WORDS-WORD LISTS (PDF) FOR THE MONTH OF DECEMBER 2018. Q. What are the files available in the downloadable Compressed (Zip) File? A. The downloadable compressed (zip) file will only have word lists (WL1, WL2 & Advanced WL1) published daily (except Sundays & Holidays) for the month of December, 2018. It does not include PDF files for weekly phrasal verbs, idioms & phrases and important definitions published on every Sunday in the month of Dec 2018. Q. How to download the PDF files of phrasal verbs, idioms & phrases and important definitions published in the month of December 2018? A. Visit Editorial Words Online Store [https://www.instamojo.com/editorialwords/] to buy them separately.